Grant deeds transfer ownership of real property. A deed is the legal document used to transfer ownership of real estate. 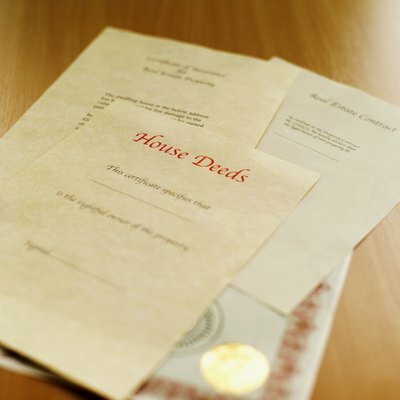 Legal and real estate professionals refer to deeds as “legal instruments" or “instruments of conveyance.” The grant deed, used in California and some other states, differs in major aspects from quitclaim deeds, warranty deeds and other types of deeds commonly used in the United States. Although state laws might differ in the legal requirements for deeds, you can expect a few details to remain constant. To ensure that a deed is executable, the document must include specific elements. 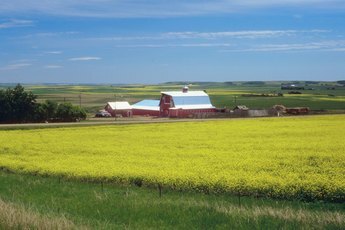 A grantor transfers ownership of the property to the grantee. The deed identifies the grantor, describes the property and identifies the grantee with distinguishing information. 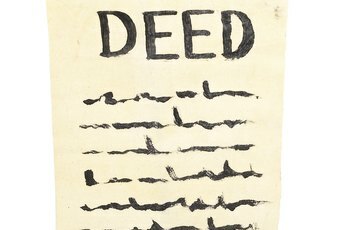 The deed uses a word to reflect that the grantor grants, sells or conveys the property to the grantee. The grantor must sign the deed, usually in the presence of witnesses and a notary public. The grantor files the notarized deed with the county property records office, where it is recorded and made part of the public record. Delivery of the deed to the grantee is required to fully execute the legal document. When a grantor signs a grant deed, he states that he “grants the property” to the grantee. Unlike the quitclaim deed, which does not guarantee ownership by the grantor of a valid title, the grant deed is a representation that the grantor is the actual owner of the property or of some percentage of interest in the property. The grant deed transfers the title or interest outright, with no encumbrances or conditions. The four-page grant deed example provided by the San Joaquin Valley Chapter of the California Land Surveyors Association marks the top of the page as restricted for use by the county deed recorder to enter the title number, filing date and recipient address. The surveyor association grant deed example, written in legal language, basically states that the grantor, for a “valuable consideration” that has already been received, grants to the grantee the real property described in the statements that follow. The description includes the city, county and state where the property is located. The grant deed references the attached exhibits, which provide a legal description of the real property, such as parcel and lot numbers, and include a property exhibit map. An online fillable grant deed document provided by a California public library includes the grant statement; space for the property description, grantor signature and date lines; and space for the notary public affirmation, signature and seal. The grant deed might refer to attachments or exhibits that are “made a part hereof” to signify that the information is part of the legal document. The San Joaquin Valley surveyor’s chapter includes three attachments that provide legal descriptions of existing and proposed parcels, lot numbers and an exhibit map. The grant deed might include an attachment of a legal property description from the title company. Is a Quitclaim Deed Valid Without Consideration? 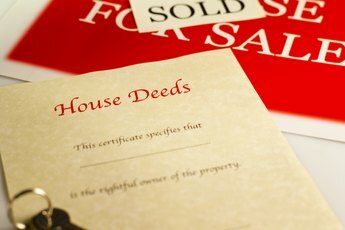 Does a Real Estate Deed Have to Be Filed and Recorded? What Do the Words 'Less and Except' Mean in a Warranty Deed? What Is a Grant Deed?